‘Fantastic Beasts: The Crimes of Grindelwald’ Premieres in Paris November 8! The premiere of Fantastic Beasts: The Crimes of Grindelwald will be held in Paris on Nov. 8! 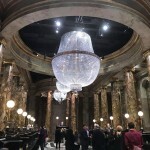 Though the news is probably no surprise to ardent fans who have known for months that Paris is the primary setting for the second film and hosting the premiere in France would be a logical nod to the plot and a fitting atmosphere for conjuring up the magical nostalgia of the city, it is still incredibly exciting to have the news officially confirmed. 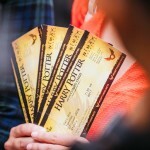 According to Pottermore, 10,000 fans have been invited to participate in the global event “via satellite” in theaters all over France–specifically, UGC Ciné Cité Bercy and participating cinemas. For fans not residing near the famed “City of Lights,” the red carpet moments will be live-streamed for viewers around the world! The announcement says that the main cast and makers behind the film will be in attendance. 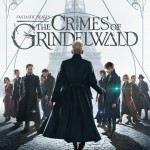 We assume this includes Callum Turner (Theseus Scamander), Zoe Kravtiz (Leta Lestrange), Claudia Kim (Maledictus), Ezra Miller (Credence Barebone), Alison Sudol (Queenie Goldstein), Dan Fogler (Jacob Kowalski) and Katherine Waterston (Tina Goldstein), all of whom have been making the promotional rounds and most recently appeared together in New York to tease the release of the final trailer. The trio of players set to rival the import of our Potter trio–Eddie Redmayne (Newt Scamander), Jude Law (Albus Dumbledore) and Johnny Depp (Gellert Grindelwald)–were sadly absent from that event, but we can’t imagine they would miss the launch of the film, and a video clip announcing the premiere to French fans would seem to indicate they are headed that way. The UK premiere of Fantastic Beasts: The Crimes of Grindelwald will be held in Leicester Square on Nov. 13, only three short days before it opens to audiences worldwide. 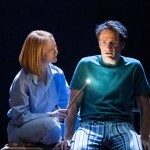 The countdown is officially on, Potter fans! Re-watch the final trailer below to keep your excitement kindled (as if that were a problem), read Leaky’s breakdown of the trailer here and check out the all-new posters released by Warner Bros. today–what do you spy in the details? Any plot hints we’ve missed? You’ll know Nov. 16!